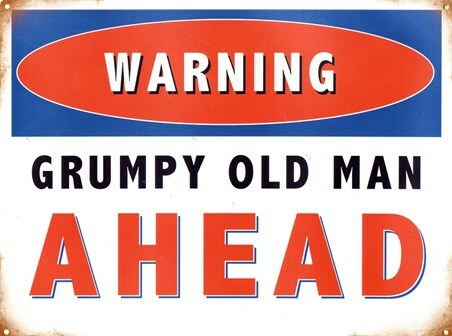 Humour Tin Sign: 'Quick! 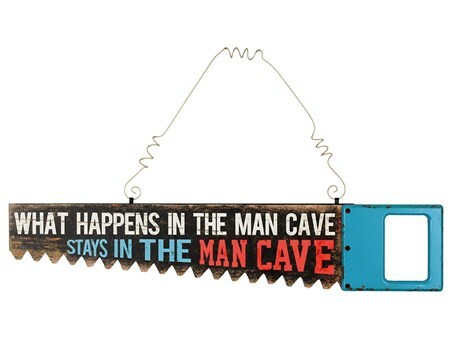 To The Man Cave'! 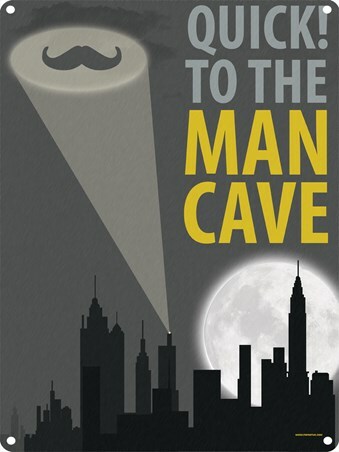 Make your escape to your very own man cave with this spoof Batman tin sign! Set on a grey backdrop, it features a silhouette of Gotham City and a large light shining into the sky. The reflected moustache is a hilarious reminder that this definitely is a place for men only and any unwanted visitors will be banished immediately! 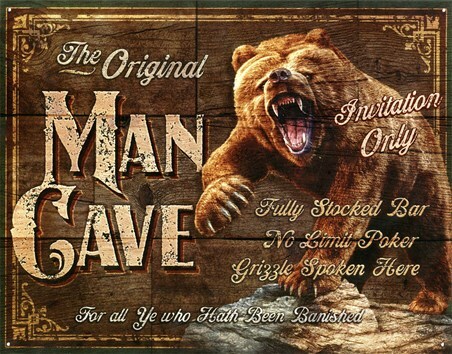 Hang this on your door and let all your friends know that they are free to enter your man cave any time they like. High quality, framed Every Man's Sanctuary, Quick! To The Man Cave tin sign with a bespoke frame by our custom framing service.